Paul Edward Herzog passed away peacefully to be with our Heavenly Father on the evening of Monday, April 8, 2019 due to natural causes at the age of 87. Paul was born on September 28, 1931 in Miles City, Montana to John Herzog and Elsa (Eichenberger) Herzog. He was the third son, and sixth child, in a family of eight children. While growing up, Paul helped at his father’s dairy farm. He attended grade school at Kircher and high school at CCDHS, until he joined the Navy at the age of 16. During his five years of service, he was primarily stationed in California. It was during that time that Paul and his first wife, Mary Leeper, had one daughter. They later divorced and, after his military service ended, he returned to Miles City where he attended college at Miles Community College. It was at the 600 Lounge that he met his future bride and lifetime love, Myrtle Beardsley. He and Myrtle were married September 24, 1955 at the First Presbyterian Church. They lived on the Herzog Ranch where Paul worked for his father while Myrtle was a clinical instructor for the Presentation School of Nursing. In 1967, Paul bought the H Bar V Ranch from his father, where he and Myrtle raised 9 children. A snapshot of a typical day might include ranching, irrigating and building fence, all while finding the time to break up a rock fight, followed by a manure fight, followed by an egg fight. It was important for him to keep things level, whether working the land with the caterpillar or keeping the top of the ice cream even. To quote Myrtle, “He was always trying to straighten out the earth with his caterpillar. I fully expected to look out the window and see Signal Butte gone someday!” Not only did Paul raise his own children, but he opened his heart and home to many. Among them were nieces, nephews, students from Pine Hills, high school students that boarded during the school year, and generally any person that needed a place to have a meal or rest their head. Many can recall memories of Paul dancing with his daughters or nieces, often with them standing on his feet. He supported Myrt and the kids for many years while they were in 4-H. Paul acted as the trail leader during the annual trail ride and impressed many riders with his ability to shoot a rattler while still in the saddle on his horse, Appy. Paul enjoyed playing cards, cribbage, golf and bowling. His travels including fishing trips to Canada, a vacation in Europe and multiple road trips at the drop of a hat. While visiting Switzerland, he adopted a tradition from the region where his father John had lived. It was custom to wear a gold token that represented their family’s vocation. He opted to get his ear pierced and wore a gold cow. Many organizations benefited from his service and influence. In addition to over 20 years as a Kircher School board trustee, Paul contributed decades of service to T&Y Ditch Board and acted as president of the Rural Fire Department. Paul was preceded in death by his parents John and Elsa, his step-mother Hilda (Roth) Herzog, his brothers John, Ben and Larry Herzog, his sisters Menga Huffman, Ruth Forsting, Sharon Doman, and his son Ben Herzog. Paul will be lovingly remembered by his wife of 63 years, Myrtle Herzog and his children: Rochelle Barnes of Houston, TX, Lori (Pat) Linger of Miles City, MT, Joni (Jay) Bonogofsky of Clayton, NC, Toni (Mike) Fink of Chapman, KS, Dan Herzog (Lisa Henry) of Miles City, MT, Kori (Josh) Black of Cody, WY, Tom (Carla) Herzog of Broadus, MT, Ted (Jodi) Herzog of Miles City, MT, and Heidi (Randy) Moe of Miles City, MT. Paul is survived by his sister Irma Cleveland of Spokane, WA and his sister-in-law Sandie (Larry) Herzog of Norman, OK, His legacy will continue on through his 21 grandchildren, their spouses and his 9 great-grandchildren. 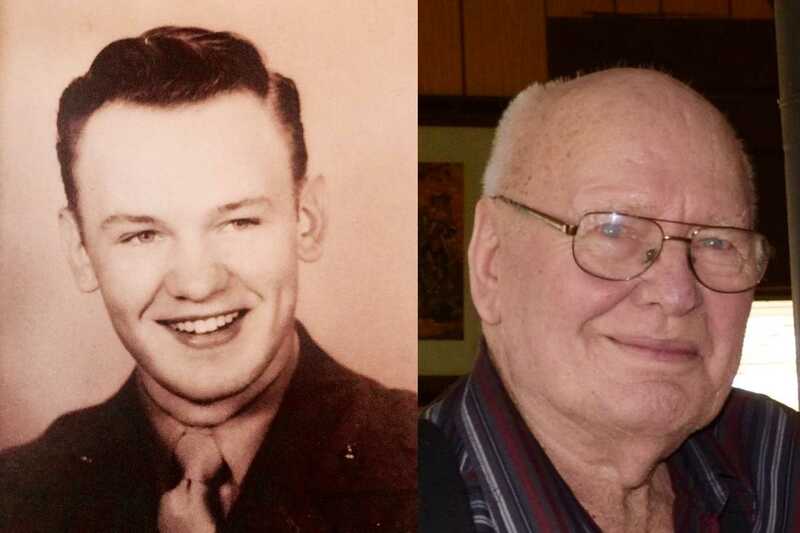 Visitation will be held on Friday, April 19, 2019 at Stevenson & Sons Funeral Home with family receiving friends from 4:00-6:00 p.m. A memorial service will be held on Saturday, April 20, 2019 at 11:00 a.m. at the First Presbyterian Church in Miles City. Condolences may be sent to the family by visiting: www.stevensonandsons.com. Should friends and family desire, in lieu of flowers, memorials may be made to the First Presbyterian Church Radio Broadcast. We will miss Uncle Paul so much. What a sweetie. We will be unable to attend any of the services. One of the sons has surgery the same day. I was just thinking about him the other day. The last time I talked to Paul was when my Mom, Virginia Hodgson passed away. He was a part of our lives for many years. I am deeply sorry for your loss. I was little when I met Paul I remember being so very intrigued by his earring his tattoo and his very very contagious smile! My cousins who lived with them told me he was a pirate so I thought he was the nicest pirate I ever met! As a teenager I don’t remember a time that there wasn’t someone extra at the house related or not, and they were always welcome. There were baby animals and fun! Rest In Peace Paul you have touched so many lives and left such a legacy in your children grandchildren and their grandchildren! Paul was a great man. Family man through and through. I have great memories living right across the driveway and how much he loved seeing his grandkids, any and all were always welcome. Poppa you will be missed! I am So Sorry for your Loss of Paul!! Your Father, a Husband, Grandpa, Uncle, and ALL that he was to everyone and ALL that he will continue to BE. In our Hearts, one is NEVER GONE!! We cherish the memories more than ever and strive to be half the person our loved ones were. You will remember him in the things you do day to day and hear his voice telling you the right way!! The Herzog household was always a comforting place, welcoming and caring family. I always loved being there and have my own wonderful memories!! God Bless All of You and Paul is HOME with his not forgotten son, Ben and they are gossiping about ALL OF YOU!! Funny what sticks with you when you are small. Like Mollie, I always remember his longhorn earring. Would always look forward to going with my dad to Paul’s house. Always remember his kindness and gentleness, even as a kid. Rest in peace. What a wonderful man! Sympathy to Tom, Carla, Tim, Luke and the entire Herzog family. Love to all, Rick and Patty Mullen. Oh the memories of such a special man. My first memory would have to start with my first year in 4H. From modeling my sewing project in the Herzog house to the trail rides. Over the years Paul always had a smile and kind words. My sympathy to the entire family. I am so sorry for your loss! You are all in my thoughts and prayers. Many memories that can be shared. Paul was always nice to me and I always enjoyed any time i could get for a good visit. So sorry for your loss he will be missed by many.. The Herzog family was a special part of my childhood. The fun times we had in the Herzog home will not be forgotten. Paul and Myrt took every neighborhood kid in. I was thinking of all the trail rides and 4-H dances that Paul would dance with the girls. They were special people and raised an amazing family. We always enjoyed our visits in later years. Love and prayers to all the family. To each of Paul’s family members….. especially to Myrt…. we were deeply saddened to learn of the loss of Paul. He was such a mainstay to the Custer County 4-H program…. and to the Yellowstone Valley! Our prayers and thoughts are with each of you. Thinking of you and your family during this time! May God wrap his loving arms around you all at this time…may you be enriched by your memories of him. Herzog families what a great guy. May your memories bring you smiles and peace. God bless you all. I will always fondly remember Uncle Paul!! Our thoughts and prayers to Myrt and the family!! SO SORRY TOM, CARLA AND FAMILY TO HEAR ABOUT THE PASSING OF YOUR FATHER. WHAT A WONDERFUL OBITUARY AND AFTER READING IT, I ALMOST FEEL LIKE I KNEW YOUR FATHER. CHERISH YOUR MANY MEMORIES-GOD BLESS AND PRAYERS TO ALL YOUR FAMILY. Sincere condolences to the Herzog family. May the Lord richly bless you with fond memories of your loved one. Peace to you during this difficult season. So sorry to here about Paul. I have so many fond memories of the Herzog home and family, from cutting meat to card games and ice cream. All good times. Paul will be missed. God bless you all. What a wonderful legacy Paul leaves on this earth, with all his wonderful sons, daughters, grands and great grands. We will always remember his infectious smile, and we figure that he and Ben are having a joyful reunion in Heaven. Our thoughts and prayers are with you during this sad time. Paul was a great guy. I first met him when he had a small group of us from the Montana State Industrial School to the Herzog place to work, throwing and stacking hay bales. This was in the summer of 1959. After being released, I again participated in his hay operation. The group of us were in great shape and used to go to country dances like at Green Acres, outside of Baker. We never started anything but if the locals started something with us they would have to deal with the “H bar V” boys. It was a great time. In 1978 Paul arrived at my house with a couple of “H bar V” boys for a visit-two Canadians that were in reform school with me and were back to visit the Herzogs. It speaks to the character and fairness of Herzogs that a couple Canadians would come back to visit decades after being on their reform school baling crew. I haven’t seen Paul for years but have always had fond memories of working for him at a very trying time in my life.